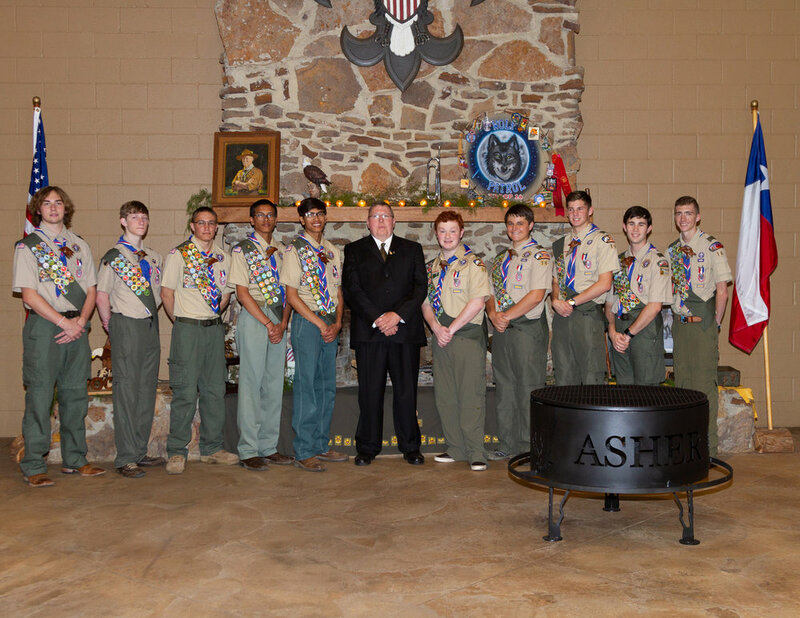 The Wolf Patrol of Boy Scout Troop 16, under the leadership of Assistant Scoutmaster Mike Asher, held a Court of Honor on May 27, at Camp Preston Hunt. Family and friends were in attendance at this ceremonial event. The Court of Honor recognized the many and varied accomplishments of the Wolf Patrol, with all 10 of its members having earned the rank of Eagle Scout, the highest rank attainable in the Boy Scout program of the Boy Scouts of America. Since only 4 in every 100 Scouts earn the rank of Eagle Scout, for all 10 members of one patrol to have reached this milestone is an extremely rare and remarkable achievement. Congratulations to the following new Eagle Scouts of Troop 16: Joseph Asher, Joshua Asher, Alex Cannon, Micah Collins, Rivers Edwards, Ryan Engstrom, Bryce McNeely, Davis Miller, Cade Reed, and Ethan Yost.